If your life is like mine, the period between Thanksgiving and the winter holidays can be a bit of a blur. 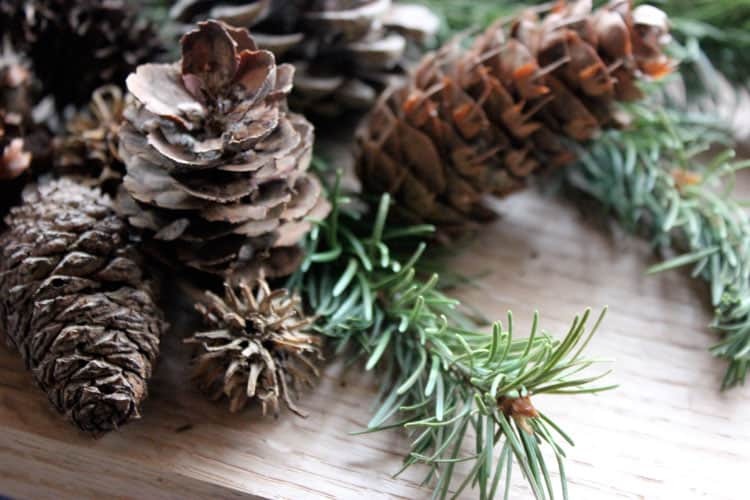 I want to share meaningful, handmade gifts with family and friends, but finding time amidst the caroling, tree trimming, making cookies, and spending time with loved ones can be challenging. 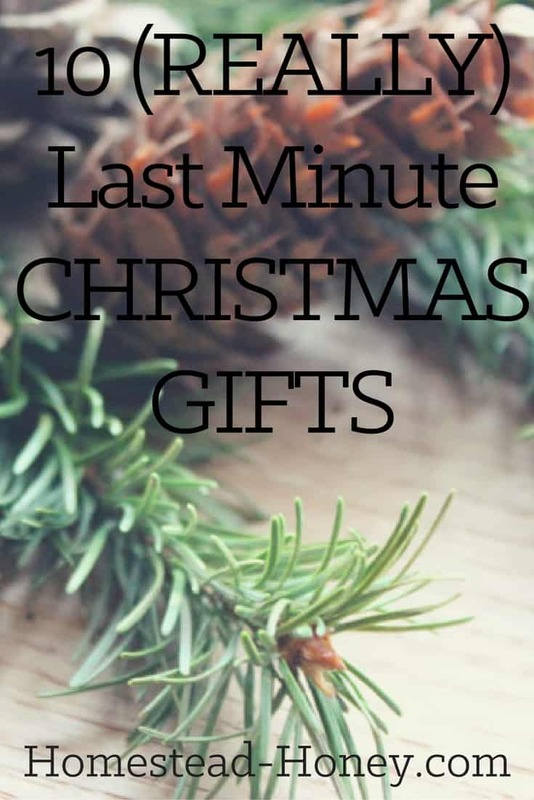 Today I share ten last minute ideas for lovely holiday gifts that don’t cost a lot of money and don’t take a lot of time – most under 30 minutes – but are pretty special nonetheless. 1. 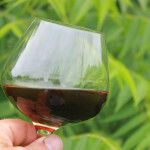 Homemade Liqueur – Each year we make homemade black walnut liqueur in June to drink and share in December. Decanting some liqueur into quirky and fun bottles from antique stores makes for a beautiful gift. Don’t have liqueur on hand? Try mixing up a batch of homemade Kahlua. 2. Christmas Cookies – These are certainly one of my favorite gifts to receive, and I love making them too. My favorite holiday cookie recipe, at least three years running is this Cranberry-Orange shortbread style cookie, dipped in melted chocolate. Oh my! 3. Nature Boxes – This year we collected and sent to friends some of the unique natural treasures of our region, like Osage Oranges, hickory nuts, and oak acorns. 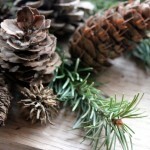 We received one back in return – a beautiful smelling collection of fir boughs and cones from Oregon. They are beautifully decorating our kitchen windowsill. 4. Homemade Granola – This buckwheat granola recipe is one of my favorite, and with the addition of dried fruits and nuts, it would make a lovely gift. Just make a giant batch, put into mason jars, and top with a pretty piece of fabric and a festive ribbon. Voila! 5. A Donation in a loved one’s name is a meaningful gift, both for the recipient, and for the organization of choice. Having worked at a number of nonprofits, I can assure you that a donation in any amount is appreciated! 6. Spa Treatment – Give your partner the gift of a spa treatment at home. This Dead Sea Salts Bath Salts recipe from Joybilee Farm has been specially formulated for romance ;), and for a real treat, pair the salts with a few homemade herbal massage melts. 7. Hot Chocolate Mix – Who doesn’t love a steaming mug of hot cocoa on a cold winter’s day? Make your own Maca Hot Chocolate or Herbal Hot Chocolate mix and package them in a cute jar with a measuring spoon. 8. 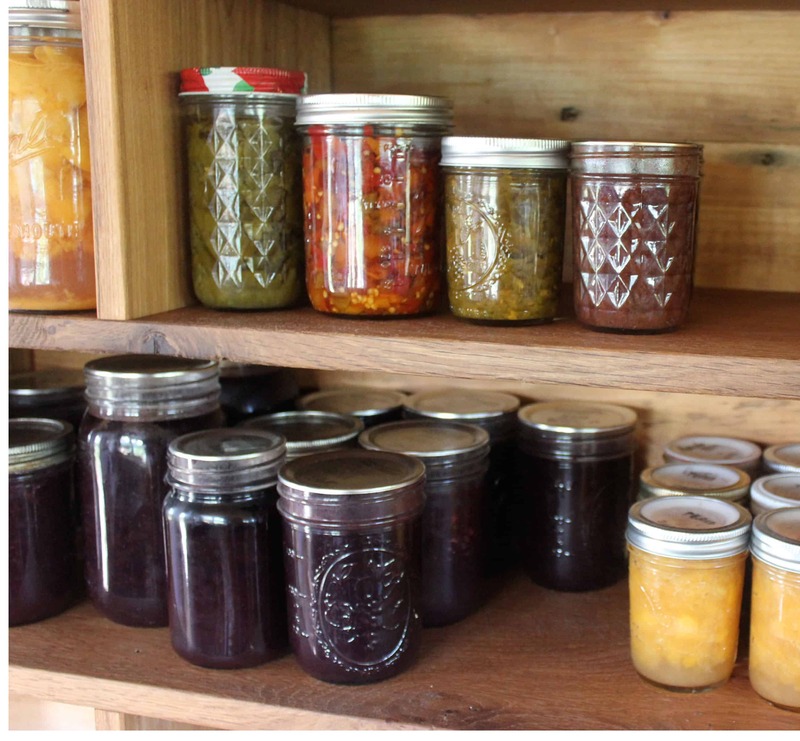 Home Canned Foods – Did you make an extra delicious batch of Autumn Olive jam this year? Does your tomatillo salsa make people beg for the recipe? Find a beautiful basket at a thrift store and fill it with canned goods. 9. Herbal Tea – Did you dehydrate any herbs this summer? Plants like lemon verbena, lavender, chamomile, and peppermint all make great teas, Give them as stand alone flavors, or make a mix of your own. Many natural food stores will also carry quality herbs in bulk that make lovely tea blends. 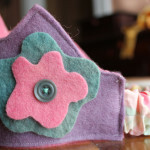 Combine with a mug from a local crafter for an instant gift! 10. “Gift Certificates” – One of my favorites. I often make homemade gift certificates for my husband. One year I gave him a coupon for a back massage when he felt tired, a dinner of his choice, and a baby duck, and the dairy animal of his choice! Does your friend or loved one have a task that they dislike, but that really needs to be done? Offer your time! Do you have a special skill that someone might need, like closet organization? Make a little handmade card with an IOU and make someone’s day. This is a beautiful post Teri. I simply love getting to look inside your family’s Christmas season. Your pictures and ideas are absolutely fantastic. Thank you for sharing! Thank you Amber! 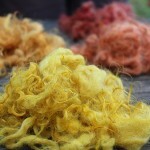 I am going yo check out your blog for some more herbal ideas! I made handwoven bookmarks – all different for my “girlfriends”. BTW, wings for fairies can be made from parchment paper! Happy holly-days – thanks for all the terrific suggestions. Ooh! Ella would love parchment paper wings for her fairies. Great idea Sharon! Sounds like a great creative use of what you have! I hope the making goes well for you!